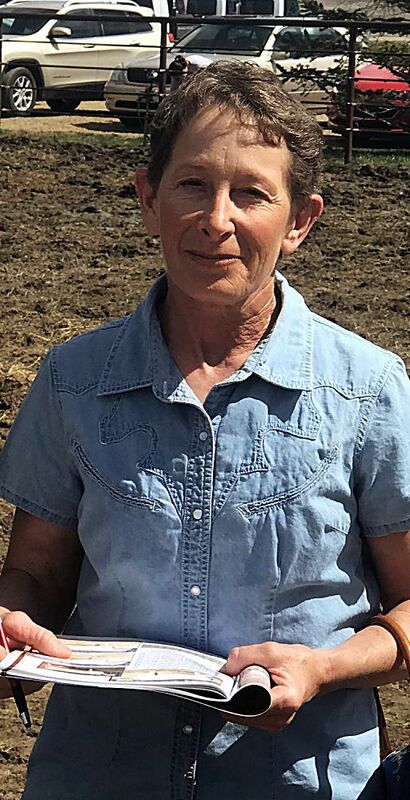 Rex Black, Spencer, Nebraska purchased Logterman bulls. 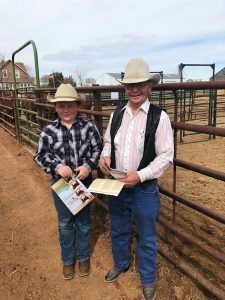 The Logterman family, brothers Dwight and LeRoy, and their families have built their reputation on selling range ready Hereford and Angus bulls at their annual production sale. The bulls presented were in great condition, not overly fed and will stay sound in the breeding pastures for several seasons. 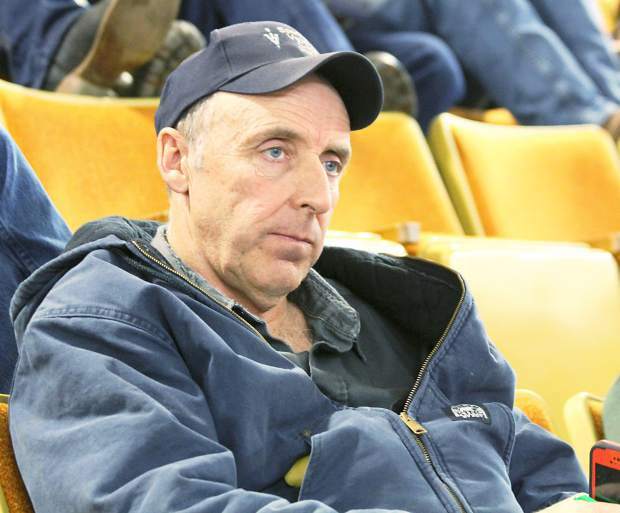 A sure sign of a program that works is the attendance of repeat buyers, and the seats were full repeat buyers for this sale. 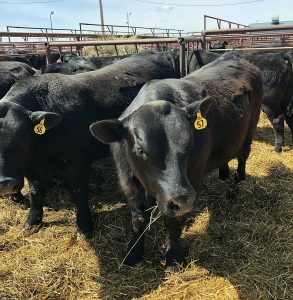 The two-year-old Angus bulls were primarily April and May 2014 bulls born on the South Dakota ranch. The yearling Angus bulls are primarily Jan. and Feb. born on the Montana, ranch and hand selected to sell as yearlings. 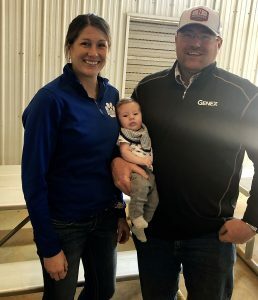 The two-year-old Angus and the two-year-old Hereford bulls had specifically been developed to sell as two year olds and none had been offered for sale in the past. • High seller: Topping the Angus bulls was lot 4068, DL 208 Really Windy 4068, a Mar. 2014 son of LLL Really Windy 208 with EPDs of CED 9, BW 0.9, WW 57, YW 103, Milk 21. Tri R Farms, Springview, Nebraska was the buyer at $9,000. • Second high seller: Lot 4206, DL 7460 Black Cedar 4206, an Apr. 2014 son of VDAR Black Cedar 7460 with EPDs of CED 4, BW 3.1, WW 57, Milk 23, YW 106 sold to Dale Stoner, Kilgore, Nebraska for $8,500. • Third high seller: Lot 4245, DL 208 Really Windy 4245, an Apr. 2014 son of LLL Really Windy 208 with EPDs of CED 8 BW 1.2 WW 40 Milk 21 YW 81 sold to Larry O’Kief, Woodlake, Nebraska for $7,500. • Fourth high seller: Lot 503, LLL Hero 6017 504, a Jan. 2015 son of DFA Hero 6017 with EPDs of CED 17 BW -2.6 WW 49 Milk 25 YW 80 was the high selling yearling Angus bull at $7,000. Selling to Jay Gunnink, Crookston, Nebraska. • High seller: Topping the Hereford bulls was lot 4087, L=032 Domino 4087, a Mar. 2014 son of CL1 Domino 032X with EPDs of BW 4.1, WW 63, YW 96, Milk 28. 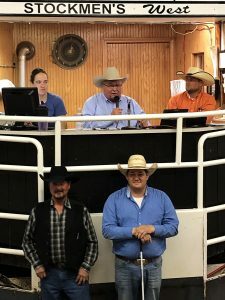 Todd Volmer, Winner, South Dakota was the buyer at $9,000. • Second high seller: Lot 4267, L=Lights Out 4267 is a Apr. 2014 son of HW4 Lights Out 2015 with EPDs of BW 3.0, WW 54, YW 91, Milk 33 selling to Roger Glynn, Belvidere, South Dakota for $8,750. • Third high seller: Lot 4202, L=105 Rest Easy 4202, a Apr. 2014 son of F Rest Easy 105 with EPDs of BW 3.0, WW 57, YW 96, Milk 33, sold at $8,250 to Rex Black, Spencer, Nebraska. • Fourth high seller: Lot 4089, L=032 Domino 4089 is a Mar. 2014 son of CL1 Domino 032X with EPDs of BW 4.6, WW 66, YW 99, Milk 321 that sold for $8,000 to Roger Glynn.